I often find myself inspired by the beautiful and intelligent woman who I married. I can be tootling along, in my own world of financial-this and political-that, when an exclamation from her turns my own thinking upside-down. There I was, minding my own business, thinking about financial armageddon, when the ever-so-lovely Mrs. Little expressed outrage over something said by some guy named Hugo de Garis. Garis. Hugo de Garis. Retired mad scientist, attempting to engineer the end of humanity by artificial intelligence – or Artilect, as he wishes to call them. Oh, THAT Hugo de Garis. Right. Crazy nutjob. Now retired. I first ran across Hugo, when watching a video about the coming ‘singularity’ that so many technophiles were eagerly pursuing. That was almost exactly four years ago. And, we’ve done nothing but accelerate towards our goal of a god-like power. I’ve been wondering about this for a while. I’m curious about the point where God says, “this far, and no farther.” What does that point look like? How close are we? I think that part of it has something to do with the capacity for evil and the capacity to live forever – and even the capacity to become god-like. God has a history of cutting civilizations down when they reach a certain ‘point of evil’. Unfortunately, when you sit within a society, it’s hard to know when that ‘point of evil’ is reached. Every generation advances beyond what their parents have created, and every generation decries the evil of the generations that follow. We get used to the evil of our parents and think nothing of adding our own bit to it. And, we cease to understand how truly evil we have become. Think of poor Lot. He got used to the evil of Sodom and Gomorrah and didn’t see when it had past the point where it must be destroyed. All that I can say is… well …we are so very close to that point. Very close, indeed. That’s a fairly old video (2006), but I hope that title strikes you with the same feeling of horror that it strikes me with. Are they really building their own Gods? Yes, Virginia. They really are. It’s a little easier to see it now, than it was nine years ago – when that video was created. But, it’s still pretty difficult. Part of the reason is due to the fact that we think linearly and progress towards this technocratic apocalypse is exponential. The number of transistors in a dense integrated circuit has doubled approximately every two years. That was an observation made by Gordon Moore, back in 1965. Gordon went on to co-found Intel, and the rest is history. And if anything, Moore’s Law might have been a bit too conservative, because this doubling of power has been happening about every 18 months. That was a pretty basic overview, but a good one. That’s not very long. Not very long at all. At least, not in any permanent way. Can you imagine a future where we have found a way off our planet and spreading throughout the Universe? The logo of Thoth Technology, inc.
No, there isn’t any coincidence here. These guys like the idea of identifying themselves with the Egyptian god of knowledge. I don’t know, but I DO know that it is only a matter of time before we create a tower tall enough to reach into space. This is NOT an impossible idea, and there are many ways to do it. Could it be that the ‘Tower of Babel’ was intended to reach outer space? As a kind of space elevator? I don’t know, and I’m not sure that it matters. What matters is that God cannot allow us to escape Earth. We are not fit for the unlimited frontiers and vast resources of the Universe. But, let’s pull back from outer space, and come down to terra firma. …what about our ability to edit the genes of people, against their will? How would YOU like it, to know that someone could edit your DNA, without your permission? Remember that what they can do in a lab, they will eventually be able to do to everyone, outside the lab. All they would need to do is engineer a virus to do the job. Eventually, they will have microscopic machines that will do that. We are already building machines that can only be seen with high-powered microscopes. How much longer will we have to wait before we have machines that can be injected into our bodies? I know that this sounds pretty far-fetched, but we had a computer that could beat the best of humanity in the game of Jeopardy – in 2011! Have you forgotten how evil our society has become? Sit and think about that for a moment. This is NOT natural. This MUST be the result of societal brainwashing. These poor kids have been hammered with a deluge of evil programming, to the point where half of Britain’s young people are at least bi-sexual in some way – if not fully homosexual. Doesn’t that give you some idea of how evil our society has become? Could it be that we have already gone past the same level of evil that moved God to destroy Sodom and Gomorrah? Let’s pull this a little closer to home. The rate of abortions among Christians is only a little lower than the rate of abortion in the rest of society. I have mentioned this many, many times, but it is frighteningly true. In 2011, the Guttmacher Institute reported that two out of three women having abortions in the U.S. identified as Christian. 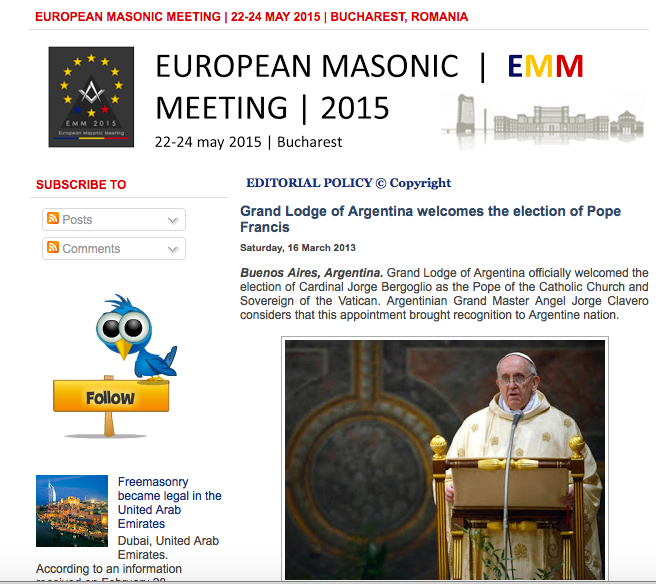 And now we have the Antichrist Freemasons welcoming – and being welcomed by – the Pope! Of course, I’ve neglected to mention how God will stop us. You might be thinking about the coming of the Antichrist, followed by the return of Jesus. But, you’d be wrong. God will knock us back, long before He returns to take down everything. Many of you are getting tired of hearing about that, but when a billion – or more – people are destined for death and destruction… you’ll talk about it every chance you get. (Again, I thank all who were praying for me, for this interview. I finished that, this week. It is still a bit rough, but the last part is the result of several weeks of reading through the prophets, from Isaiah to Malachi. And, it is clear to me that Israel truly must be saved before the Great Tribulation begins. And, in the process of doing all that reading, I saw something important. Micah 5 is an interesting chapter. It talks about the coming of Messiah, and Him being smitten. It talks about Israel being ‘given up’ and then returning. It also talks about an invasion and great devastation at the time of Israel’s return – just like the other prophets. I would think that the biggest solar flare in the history of the world… well …I would think that it would fit that verse perfectly. The section proving that Israel must be saved before the Great Tribulation is not included in the PDF. But, it is on the website. I will create a new PDF, once I have more material up – and once I have done another edit. These are all elements that are pushing Russia, Iran, Central Asia towards and alliance that will result in a vast army that comes down to attack Israel. There is an interesting aspect to the coming of Gog and Magog. Did you notice that all the participants are Muslim? Except for Gog and Magog? That’s right. There are no Arabs in this grand army that comes down to attack Israel. Only non-Arab Muslims and Gog. And, when it says ‘nation’, it literally means ‘ethnos’ – or, ethnic group. What ethnic group is at the center of this prophecy? They are invading Europe and turning Germany, France, Greece and many others, upside down. 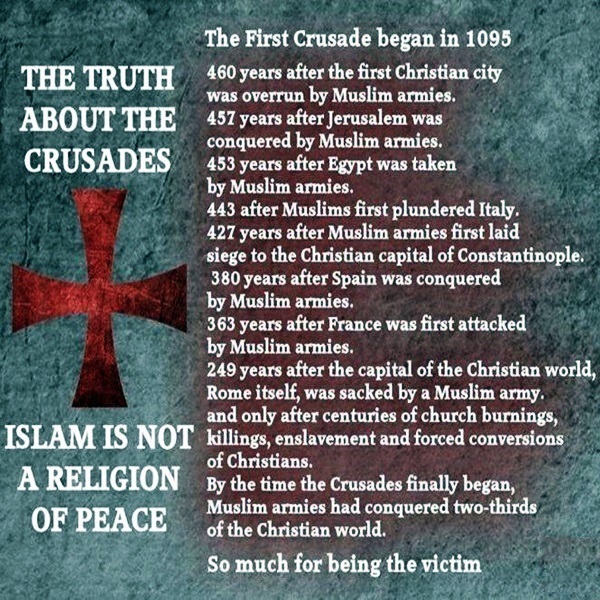 The cultural conflict that has been started by this Muslim invasion is tearing Europe apart. The other interesting part of the debate is the discussion about Israel. It doesn’t matter so much whether YOU know Jesus. That was a startling moment for me, and I’ve been talking about that, ever since. Will all those who claim to know Jesus be surprised when He denies knowing you? I didn’t get a chance to listen to the last hour. I will do that, tonight. If that third hour is like the first two, then I will be glad to have taken the time to listen. Your eternal life hangs upon the answer to that question. If you are unsure, then you need to get your life right with God. Doug Casey: We Are Now Exiting The Eye Of The Hurricane & Rapidly Heading Towards The Greater Depression; Jeff Berwick: A Collapse Is Being Planned For September, Moving The World Closer To A One World Government. The only class of assets that I know of that would preserve its value when all of the above happens… well …I just can’t think of anything better – except for God, a safe location, food and water. Are You Prepared for the Coming Civil War? The third world is often a testing zone for something like this. Get ready for it to roll out to a neighborhood near you. These are some interesting articles that caught my eye. A New Addition To The Blogroll!! It is a new effort by Dave Hodges and James White, and they are doing an excellent job. I highly recommend that you spend a few minutes every day with Dave and Jim. It will certainly be time well-spent. And, let them know that you are listening by subscribing to their YouTube Channel. Heard you on Hagmann… you don’t give yourself enough credit for in person communication. I didn’t hear any of the abrasiveness that bleeds through in some of your columns. You sounded like a truly Godly man who is grieved by the wickedness of the world… engaging with a timely message. God bless you and your family. Just saying thanks for all of the effort you put into your articles! I’m here in western Montana where the thick smoke from all of the fires in the area is a distraction from all else that is going on in the world. After turning our upper atmosphere into a floating junkyard of space debris I find it humorous that the elite idiots think God will allow them to pollute the rest of His creation. Professing themselves to be wise ,they became fools. What fools indeed.They won’t know what hit them. Thus far and no further refers to how God separated the waters from the earth and the heavens, possibly. So God separated the water from the heavens and the earth and made land appear over it and said to the waters you come up to here (the shore) and no further. Today we see the POWER of God when the waves keep trying to overcome the land but recede back down just like God said, try as they might. You guys just don’t get it. YOU NEED A “STATE” TO PUT A STOP TO 99 % OF THIS BALONEY !!!! Can a man do it ? NO. Can a neighborhood do it ? No. Can a corporation do it ? No. So … how do we do it ? How do we solve most threats facing all life today ? Answer : We form a new country from which to do so. How should we begin ? Well … I’m glad you asked. First, we notice where the most Christians ARE ALREADY CONDENSED. That would be the bible belt ! Then, we estimate about how many true Christians there might be there … and in the rest of the country … and we determine that if we created an enlarged 15 state version of The Confederate States Of America … this should do it. The goal of this new state .. this new country … would be to save humanity. Bye bye CERN. Bye bye HAARP. Bye bye chem trailing. Bye bye GMO. Bye bye Irans and N. Koreas nukes. Bye bye Agenda 21 which is now called the 2030 something ? Bye bye NWO and foreign hijackers of governments. AND HELLO JESUS !!! Or … we do nothing but e-mail and comment and watch sports as The Titanic sinks. Will the nearly 100 million Christians here stand by like dopes and allow fewer than 1,000 scumbags to poison, imprison, brainwash, and kill us ?????? Seriously ???? from Matt in New Zealand. I imagine that all advanced intelligent life has a name for the category of replicant technology. I would also imagine that, in every alien language, that name is synonymous with evil. Like reading your works, John. I just wish you would not have expatriated the way you have. I understand why, I think – but I just wish people wouldn’t give up their nationality so easily. There will, most likely, come a day, perhaps generations forward, where it will be regretted. Follow my name for details. Useless Eater is everywhere. Man’s devices are to be the thing that cause’s his demise. I work with the general public and perform work at their homes. I have been watching a trend of increasing destructive mindsets and behaviors for a while and one thing that I have noticed is those who are on any sort of medications are losing their grip. I have wondered if those who need some sort of medical intervention in the way of meds are to be the ones who are most affected by the anti-matter that is being created? Only Christ can insulate us from trouble. If we are to prepare, learn from what was given to the Hebrews. In the US eating wheat products that contain leaven has caused health problems that have reached epidemic proportions. Also their was given to the Hebrews specific instruction about the Blood of the Lamb around the opening or entry to the homes of the Hebrews. Are you covered by the Blood of the Lamb. That is the only assurance that we have the Christ knows us. As much as I would love to believe that this is The Tribulation, I can’t. Too much must happen before The Tribulation starts. We must stay focused on what the Bible actually says will come, at the time of the Antichrist – and what must come before. Many, many terrible things will happen before the Great Tribulation comes, but there will also be some wonderful things, as well. May we all be blessed in the midst of the difficult days ahead. I do thank God for you & the other Watchmen out there shouting from the rooftops God’s coming judgement on America & this world. But, God has shown me that He is looking for Men to lead His lost sheep out Egypt, the whore of Babylon & into the Promise Land. I believe there will be a Remnant saved & given one more chance to build a truly Christian Nation based on the Words of Christ Jesus & God’s Law, like Israel was suppose to be. Nobody is talking about rebuilding from the ruins of whatever country you are in after this coming Judgement hits. I would enjoy talking to anyone about building a truly Godly Nation & what that would look like. I am talking about All Nations, wherever there are True Christians after this shaking comes. Are you prepared to lead, like Moses, The Remnant into the Promise Land? Are You prepared & have plans for what a truly “Christian Nation” looks like? It doesn’t matter where you are, are You prepared to make True Disciples of Jesus Christ & lead them to God’s Promise Land, to establish the Kingdom of Jesus Christ in Your World? I am looking for Believers, because my Jesus said, “Nothing is impossible to there that Believe!” I am prepared to Rule & Reign with my King, Christ Jesus! Jesus Christ came for One purpose: The sacrificial Lamb of God that was slain for All mankind. So that by His blood all of our sins are washed away so that we, All, this whole world, can now become Sons of God. Those that have been Born Again & Baptized in the Holy Spirit are to rule & reign now, by Overcoming all this satanic world systems & Establishing His Kingdom. Read Revelations chapters 1,2, 3. Those that Overcome, Overcome what? This satanic world system NOW, not in heaven. If you Overcome Now, then you will be Reign with Christ Jesus during the Millenium & forever. Any Believers out there that will trust & obey the Word of God? What are you going to do when there is no food, no hospitals, no help? Are you going to start acting like Jesus & feed the multitudes, heal the sick & injured, raise the dead & cast out all demons that are attacking you & your family? What is your plan? You have a very short time to start acting like Christ Jesus. Any Men out there going to Man up & Act like the Son of Man? Jesus Christ said, “The Kingdom of God is in You.” Jesus Christ plainly Taught & Commanded what “Believers” are to say & do. What is in You? Obviously, what is “in” you & all the other religious people out there, is clearly & plainly displayed in our society & our world today. Hopefully, you will get rid of your religion & start imitating Christ Jesus for your family’s sake & for the sake of those around you. Sorry Darryl. That’s not how it works. Otherwise, Jesus would have done so, and told others to do likewise. The Kingdom of God is not of this world. Now let me add, that you appear to have lost your faith and trust in God. You also appear to have lost your understanding of our spiritual lives and our citizenship in heaven. We are not of this world. We were bought with a price. Jesus willingly sacrificed His life for others, and we should do likewise. Do not shrink from persecution, Darryl. It is to be expected for every one who truly follows Christ. My attention was recently drawn to Ezekiel 28, quoted by someone who had a vision of the demise of America. This prompted me to download and read the book this is excerpted from, which was free. Think about it … America has invented many world-changing things, profited immensely from them, and now imagines itself to be the exceptional people, the indispensable nation, and the political elite imagine that the entire world must sacrifice its own interests for our luxury and convenience. The awake are a minority; the majority are lost in normalcy bias and the fantasy that the government, which has caused our worst problems, can fix them, even the economy. 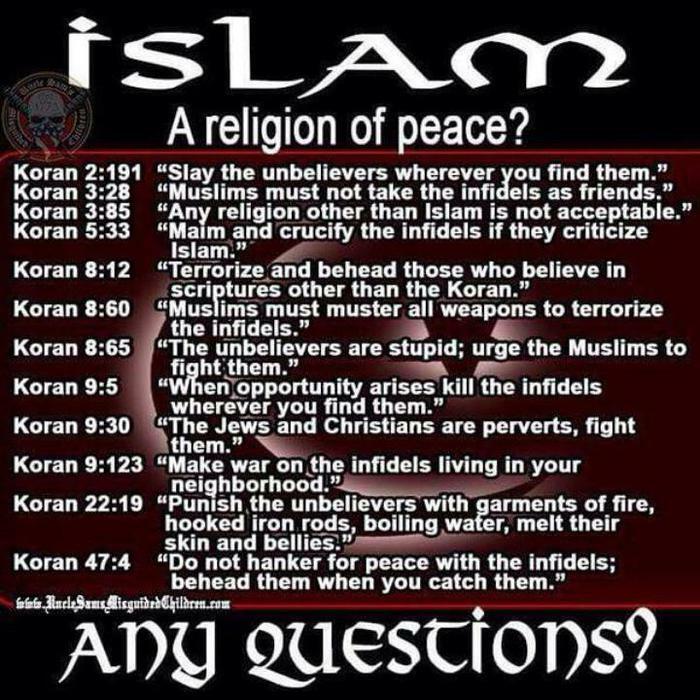 What more poetic justice than to be overrun and overcome by the most terrible of nations, (Islam) and these savages shall draw their SWORDS against the “beauty of your wisdom”, which I can picture as sending us back to the stone age in any of several ways. Almost nobody knows how to survive without modern transport and conveniences, which you have warned of extensively. So these people who are used to luxury – comparatively speaking, running water and electricity are luxuries – will be living like animals and dying in droves. What are your thoughts on Ez 28 and its application to end times?? I’m not sure what to say about such visions as described in the article. We will have to see what transpires. There’s enough bad news about what is going on now to send people running for the hills. As for Ezekiel 28… well …it is interesting that the last three verses talk about the return of Israel. And, the way it is described, that return must be in the era that we live in now. Having said that, when a passage speaks directly about a place, I think that we need to accept that the passage really is about that place. So, I think that we need to keep our focus upon Tyre and Zidon. Far too many Christians have chosen to engage in ‘fuzzy thinking’, and it has led us down a twisted path. Thank you, DRG. Your comments always offer up much food for thought. P.S. – if you go to the link in my comment above, page up to the top – the comment it goes to is way below the article itself. Bill Holter spells out the big picture nature of why the markets are imploding worldwide in first video in this article. (These X22 report videos of last 2 months have been very insightful). You will not hear this view told by the paid national media presstitutes who have been telling everyone all year to stay in the markets, all is well, the recovery is real. All why they have been selling and panicking to find survival gear (see August 6 audio interview here http://allnewspipeline.com/Alt_Energy_Insider_Elite_In_Panic.php ). How did the power structure know the financial markets would unravel around Sept 2015 timeframe? Simple. Could it be they purposely manipulated oil prices down to around $50/ barrel, knowing this would blow up many of the derivative related markets (see history of oil prices declines and stock market collapses http://theeconomiccollapseblog.com/archives/oil-falls-50-global-financial-markets-begin-unravel and https://www.youtube.com/watch?v=-tcmifGtIGo ) along with other orchestrated factors or causals? Or one can take the view that the fall of oil prices was accidental due to oversupply (i.e., https://www.youtube.com/watch?v=LCW7lWZ5CiE and https://www.youtube.com/watch?v=sECXdHUTkdk ). –Here the IMF hatched an alleged scheme to kill the dollar http://www.alt-market.com/articles/2444-imf-now-ready-to-slam-the-door-on-the-us-and-the-dollar . -Reader Comment on the Thieves of Wall St: Massive pumping is going on here, and has been since 2007! And they admit it! But average joe dumb arss has no clue! So you lose in your 401k, and other stock purchases, and you lose even more in the inflation of fed printing / pumping! It costs you 200% in loses, to prop up the market. All while the wealthy make a killing! Because, on wall street, when you’re winning, they’re winning. And when you’re losing, they’re winning! $100 million apartments in New York city came straight out of your pocket! $50 million salaries, also straight out of your pocket! The $5 million bonus, your pocket! That mazzerati, your pocket! That $100 million 150 foot yacht, your pocket! That $40 million house in the hamptons, your pocket! You lose your life savings, they make millions! Do you think they earned it? Did they work hard for it? Did they work hard for you? They stole every dime they have! Seriously! How stupid are we! We look at company heads like they are gods. Why? They are filthy rich because they charged you far to much for their products and services! The wealthy head of every corporation is the result of hundreds and thousands of employees, and you. The employees get average incomes (and sometimes lucrative stock buying plans), while the leaders get millions, and billions. And you are paying for all of it! Think about it. Bill Gates is a billionaire because you were overcharged for microsoft windows, and office. Those billions, and the employees millions are money out of your pocket! You struggle to pay your mortgage every month, when it would be easy if every company in America, and the world, weren’t gouging you for every penny and dime they can get! So, how’s the system working for you? Yes, they must be stopped!!!!!!!!!! I am glad you are back, it made me think of all the things I have not got in order before it all kicks off in earnest, your reminders of where we are in the Tribulation timeline are a comfort, as you say we are not there yet, this is the prequel. I am continually shocked that people who are associated with the evils of transhumanism / singularity and all that goes with it, are blind to the fact that mixing iron with clay will not cleave to each other…… Evil truly does blind, and YHWH is most certainly giving them over to deceiving and being deceived. I pray that through the Yeshua and his atoning sacrifice and his grace, authority and mercy, that all flesh be given eyes t see and hearts to hear. Thank you again for all of your work John, Peace. On 9/11/01, as explained in the “Harbinger”, a beam was thrown from the North Tower and “UPROOTED” a Sycamore Tree at Saint Paul’s Chapel. Saint Paul’s Chapel being the place that America was consecrated when George Washington and Congress walked the few blocks from Federal Hall just after Washinton’s inauguration and inaugural speech to the Chapel and Sought (Prayed) G-ds Blessings over the country. The Twin Towers actually sat upon land that had been purchased from St. Paul’s Chapel and so the Chapel, Towers and the “UPROOTED SYCAMORE TREE” were essentially all sitting upon AMERICA’s HALLOWED GROUND. 7 If at any time I (G-D) announce that a NATION (America) or kingdom is to be “UPROOTED” (Like the 9/11 Sycamore?! ),TORN DOWN and DESTROYED, 8 and IF (ONLY IF) that NATION (AMERICA) I warned (THROUGH 9/11 and the “UPOROOTED SYCAMORE”) REPENTS (ONLY IF IT REPENTS) of its EVIL (WICKNEDNESS), then I will relent and not inflict on it the DISASTER (DESTRUCTION) I had planned. Of course we all know that AMERICA HAS NOT AS A NATION RECEIVED/UNDERSTOOD the message and has NOT ONLY NOT REPENTED but gone the exact opposite way into ALL OUT REBELLION. And thus the 9:10 Judgment/G-DS PLANNED DISASTER CONTINUES…. And explains exactly HOW a NATIONS JUDEMENT and UPROOTING comes….. The “RULER OF NATIONS” would of course be the very one whom tested Jesus, promising him “ALL THE NATIONS OF THE WORLD” if Jesus would only bow down and worship him.,……. AKA “SATAN”. AND THAT IS WHY A DARKNESS (Newly unveiled Baphomet! Broken Ten Commandment Monument [Oklahoma City]! Gay Marriage! Etc…..) has been SWEEPING over the LAND!!!! AMERICA (aka Mystery Babylon) HAS BEEN HANDED OVER TO THE DEVIL and eventually will come a Crash, Confusion, Chaos, Civil War, Strife, Infighting etc…. In the midst of the chaos her enemies will Attack and Destroy her. “FLEE BABYLON” as quickly as you can!!!!! with the beasts of the field, and with the fowls of heaven; yea, the fishes of the sea also shall be taken away (SEE/GOOGLE: MASS ANIMAL DIE-OFF). Merriam Webster’s Collegiate, 10th Ed. 1a. To be or become feeble, weak or enervated. 1b. To be or live in a state of DEPRESSION or DECREASING vitality. 3. To ASSUME AN EXPRESSION OF GRIEF or EMOTION APPEALING FOR SYMPATHY. Folks – I write this for your edification and to lift your spirits in understanding. Being the ETERNAL G-d Fearing (Reverencing), fun loving, high spirited optimist myself and having been run (due to life experience and unbelievable circumstances) into an incomprehensible slump (Depression) myself several years ago —- I set out looking to OUR G-D for answers and He POURED THEM OUT TO ME —— He said (By way of my open eyes), “Don’t Fret! Do you not see that ALL THE WORLD IS LANGUISHING”. Hosea 4. The “Time of Jacobs Trouble” (aka “Isaiah’s Apocalypse” – Is Ch’s 24-27) is about the time of the END. The “END TIMES” (As we know them) are actually “THE CONSUMATION OF TIME”. It is the time that “THE OLD” passes away and ALL THINGS are made NEW. First we must endure the “END” of “TIME” (“Time” itself being a HUMAN construct – ie. G-d Resides OUTSIDE of the TIME/SPACE Continuum). He wound it up, set it into motion and it has been UNWINDING since the Beginning. The EARTH WILL WAX OLD (Fall Apart) and the “PEOPLE (And Earth)” WILL ” LANGUISH!!!! THE WORLD (Our Sinful, Broken World) is DIEING (And that’s why the Animals are dieing) and people and the world are Languishing (Depressed and decreasing in Vitality) and is also why the “EXPERTS/SCIENTIST’s” (Who don’t believe the Bible/G-d) just AIN’T GOT NO ANSWERS….. they haven’t read the book…. So take heart — those of you depressed —– G-d wants you to know that His Glory and THE NEW draws nigh….. “The World Will Languish and Die” but those who KNOW THEIR G-D and that BY OUR LORD JESUS —– “WILL BE SAVED” and “ALL WILL BE MADE NEW. Just sharing the Good News. As G-d has so faithfully shared it with me. Take heart in these “Times of Troubles” —– Our Redemption Draws Nigh!!!! It’s only G-ds word —- “All the World will Languish” being “FULFILLED” as OF COURSE IT WILL BE!!!!! The last couple day, I can not access your website. My google search no longer brings it up. I got here now through the Hagmann and Hagmann website, where they recently posted your name and site. What is the problem you are having with the site? Thanks. There was a rather interesting database error on some computer out on the Internet that kept people from accessing the site. And, even worse, it kept ME from accessing the site. As you can probably understand, I was less-than-happy. So, the error is fixed, but your comment points out another problem that I had not realized – all of site’s internet visibility has vanished. It is God’s will, so I believe that it is for the best. I only care about warning the Body of Christ about what is coming. Now that it’s almost here, it really is almost too late to say anything more. It’s almost too late to start preparing, anyway. Thank you, Lisa. I didn’t realize that Omega Shock was off of Google, until you pointed it out. Sorry for your troubles. You are so right though. It is getting way too late in the game at this point. You have down such a wonderful job of investing much time and devotion to warning the body of Christ. May you be very blessed and protected in the dangerous days ahead. Thanks John for your work. Thanks Jay for tuning in, that is the land i am from! 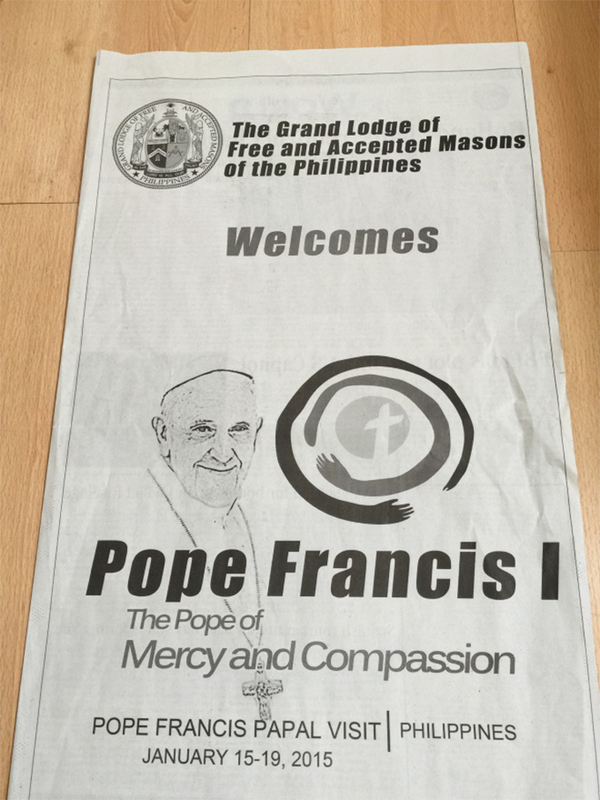 people’ of faith, sincerity or the Beatittudes…. a true humble person can appear confident like David taking out Goliath. A true humble person does NOT twist the Bible. Please understand that my workload makes it almost impossible to respond to email. I also can’t promise to read everything that you’ve written. But, I’ll see what I can do.